One primitive campsite is located at Dominguez Trailhead, along the River Road West. The Dominguez Trailhead campsite is located along the River Road, 22.7 miles from the west end near Castolon, or 31.3 miles from the east end near Rio Grande Village. The River Road is maintained for High-Clearance Vehicles only. After rains, the River Road is extremely muddy and may quickly become impassable to ALL vehicles. Fourwheel drive may be required. Always ask a ranger for current conditions. There is NO shade at this campsite. 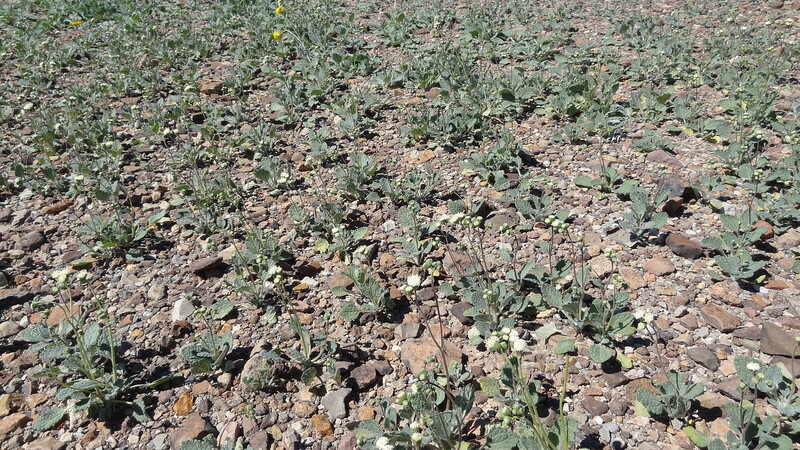 Vegetation is comprised of sparse creosote and lechuguilla. The site is somewhat protected from wind by low hills. 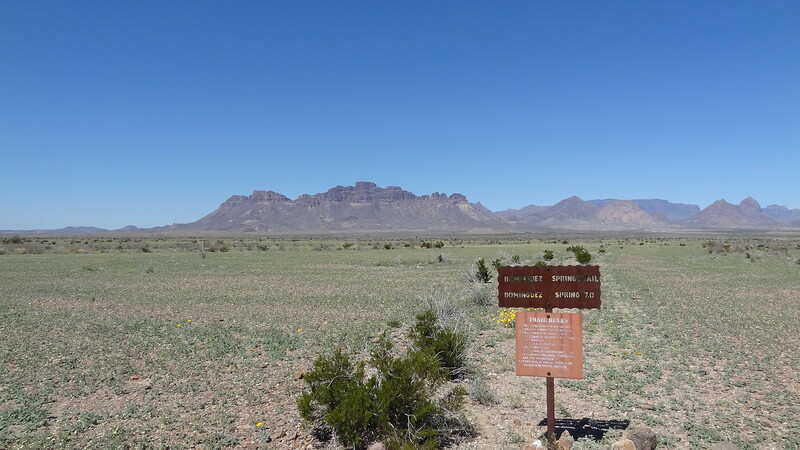 Good views of the south Chisos Mountains. 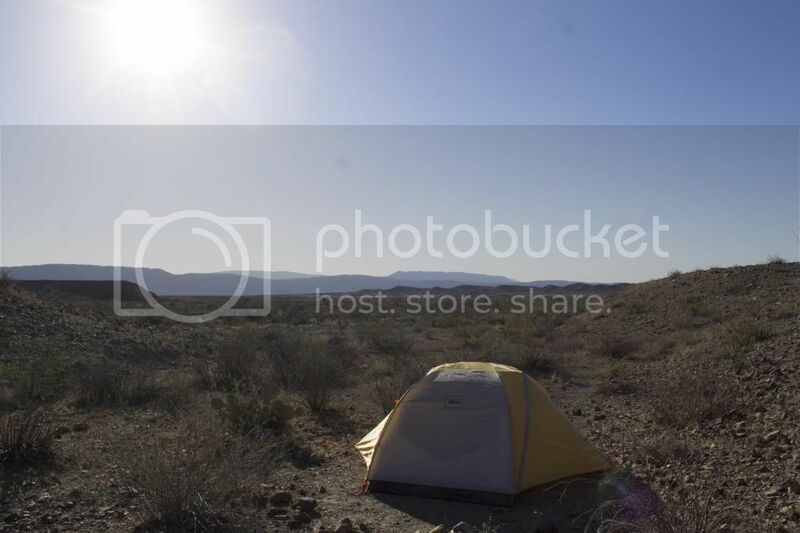 To minimize the possibility of theft, secure belongings when away from the campsite. Do not leave site unattended for long periods of time. Check current road conditions with a ranger. 4-wheel drive is required after any rain. 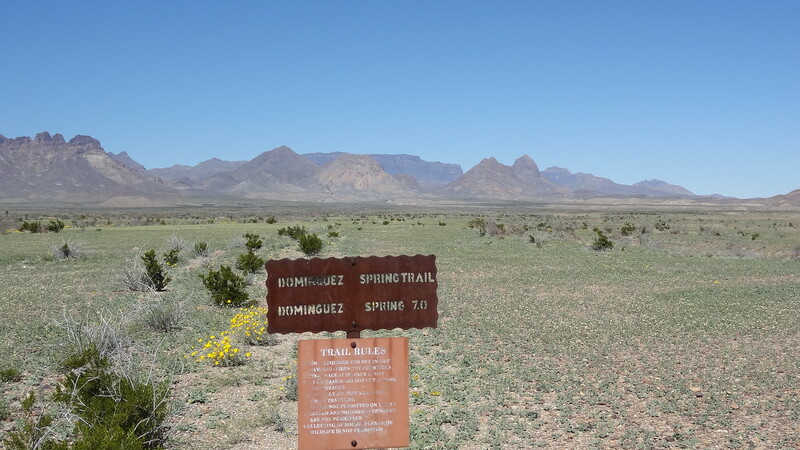 Vehicles may be parked at the Dominguez Spring Trailhead which is a short distance away. This rugged and primitive trail leads 7 miles north into the Sierra Quemada towards a rock house and several unreliable springs. Here are a couple shots of Dominguez Trailhead campsite. The description is pretty accurate - the site is down a hill in a little bowl from the trailhead. At first, we thought it was up around the trailhead (we miscalculated our drive time on the 4wd roads and got there after dark), but then found the short road that leads down into the bowl and the campsite. You can't see the campsite from the trailhead at all, but the road is fairly easy to spot from there (in the daytime! ), so people might drive or walk down out of curiosity - so do take your valuables when you go out for the day. If you want isolation (and a long drive), this is the spot for you! Pics taken Spring Break 2013. Everything in this country'll either stick ya, stab ya, sting ya, or bite ya.